The Big Apple. The Empire State. New York City! A dream destination that many believe costs a fortune to visit and experience. 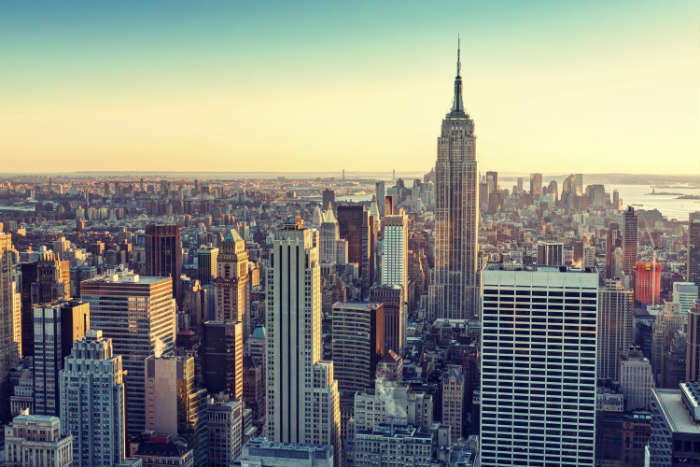 That’s not always the case though - this city can cost as little or as much as you want it to and here’s how to see New York whatever your budget! That’s right, you can see the iconic sights of New York City without spending a single dollar. See the dazzling lights of Times Square, gaze at the iconic Grand Central Station or pretend you’re a big shot on Wall Street, all for free! One of our favourite things to do in NYC, is to take a walk along the High Line! 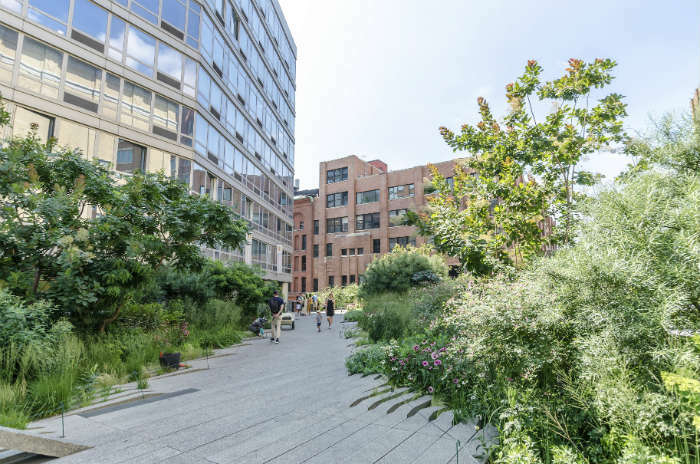 The High Line is a disused rail track above the streets of New York which is now a public park full of cool street art and lush green plants. From the end of this walk, you can then make your way to the Staten Island ferry. 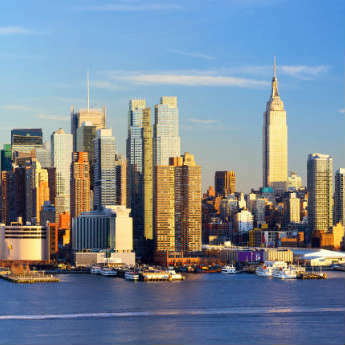 This free 35 minute journey will take you across the Hudson River and show you the jaw dropping sights of the Statue of Liberty and New York’s skyline. A day full of food, sightseeing and iconic sport for under $30? No way? Yes, it can be done! 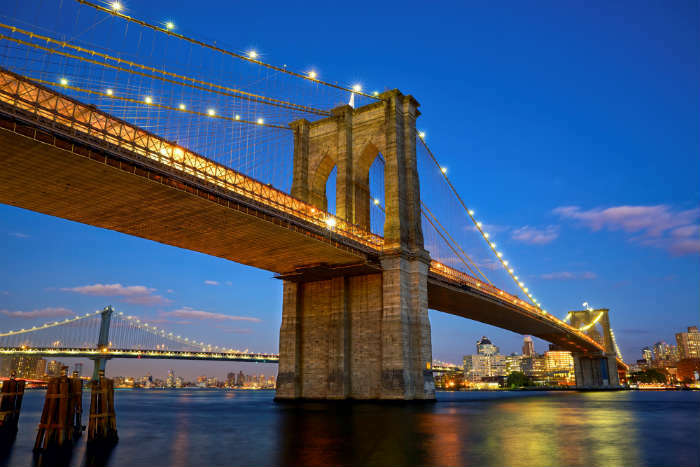 Treat yourself to a lie in and start the day mid-morning by taking a walk along the iconic Brooklyn Bridge for unforgettable views and enviable Instagram pictures! You’ll probably be a bit peckish afterwards so head to Chinatown where you can pick up a delicious classic pork bun for 80 cents or a fresh steamed bun for $1.64! If you fancy something sweet after this, head towards the novelty Cupcake ATM Machine on Lexington Ave for $4.25 – who knew you could get scrumptious, fresh cupcakes out of the wall? For evening entertainment there’s no New York experience quite as authentic as going to see a New York Yankees baseball game. 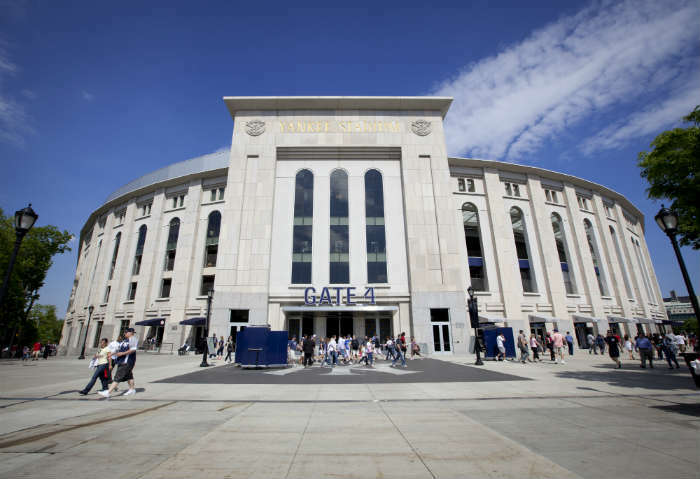 For $20, a ticket to the game at the iconic Yankees Stadium is yours! Even if you’re not sure about the rules, the experience is just like a huge party with music playing and beer flowing! Top Tip: Buy a 7 day unlimited metro card for $30 and you can use the subway as much as you need to during your holiday! New York really is your oyster! One way to get to know New York is by going on a hop-on, hop-off bus tour. For $49 you can see the sights of The Empire State Building, Greenwich Village, SoHo, Midtown West and Chelsea. 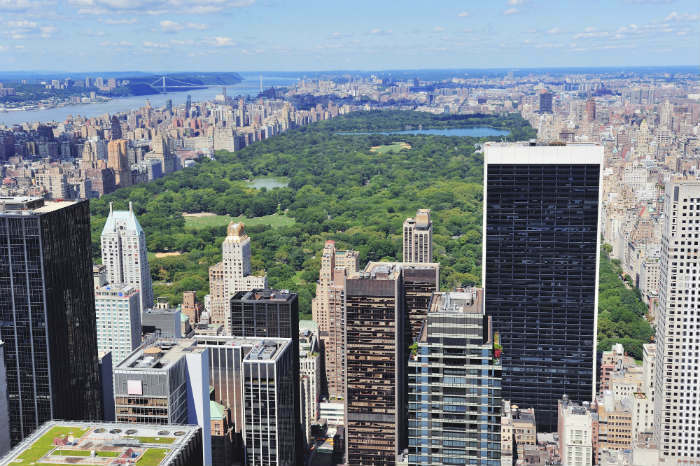 You can also hop off at some of the most iconic sights of NYC, including 5th Avenue, Central Park and Manhattan Bridge. And with a live guide explaining your surroundings a hop-on, hop-off bus tour can be quite educational, as well as fun! 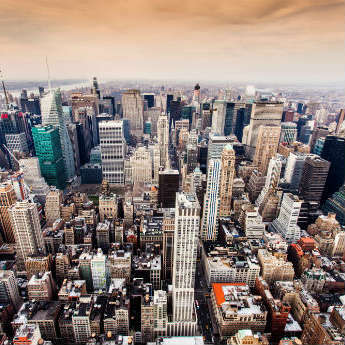 A bird’s eye view is one of the best views to see the whole of New York. Head to the Top of the Rock or the Empire State Building Observation Deck for $29 and you’ll see New York like you’ve never seen it before! Back on ground level, the art galleries and museums of New York are one of the city’s biggest attractions. 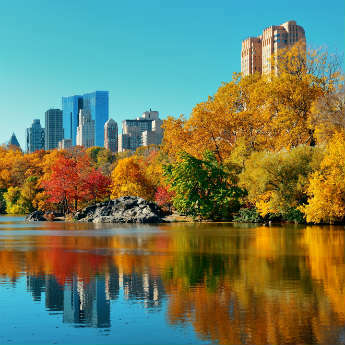 Visit the Museum of Modern Art for $25 and the American Museum of Natural History for $22. For those who are more interested in recent history, the 9/11 Memorial Museum is place where stories of loss and recovery are told and is only $24 for entry. Why not visit the Empire State Building Observatory on your trip to New York City? Call The Holiday Crew Now on 03332 205 317 for more details! If you really want to splash the cash, it’s very easy to do so in this huge city. If you want to get to know New York through its food, then take a food tour of the most delicious dining spots this city has to offer, from $49! 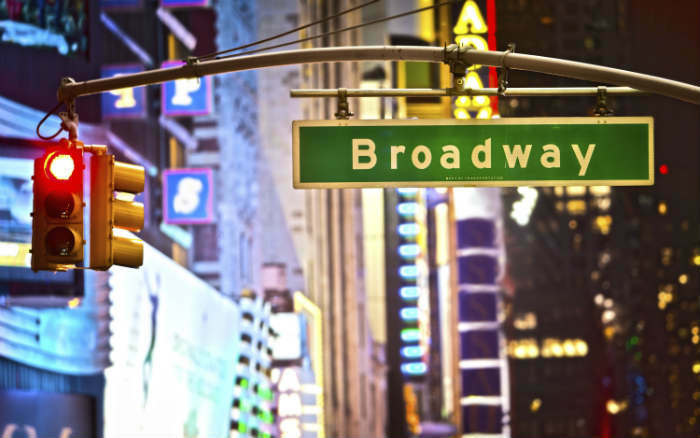 In the evening, have a night to remember and go watch a classic show on Broadway. The Lion King, one of Broadway’s most popular shows, is $92. But hey, you’re in New York and if you can’t spoil yourself now, when can you? Total: The sky is the limit! Do you fancy seeing The Lion King on Broadway? For more information, call The Holiday Crew on 03332 205 317! You might also enjoy New York: The Essential 5-Day Itinerary.